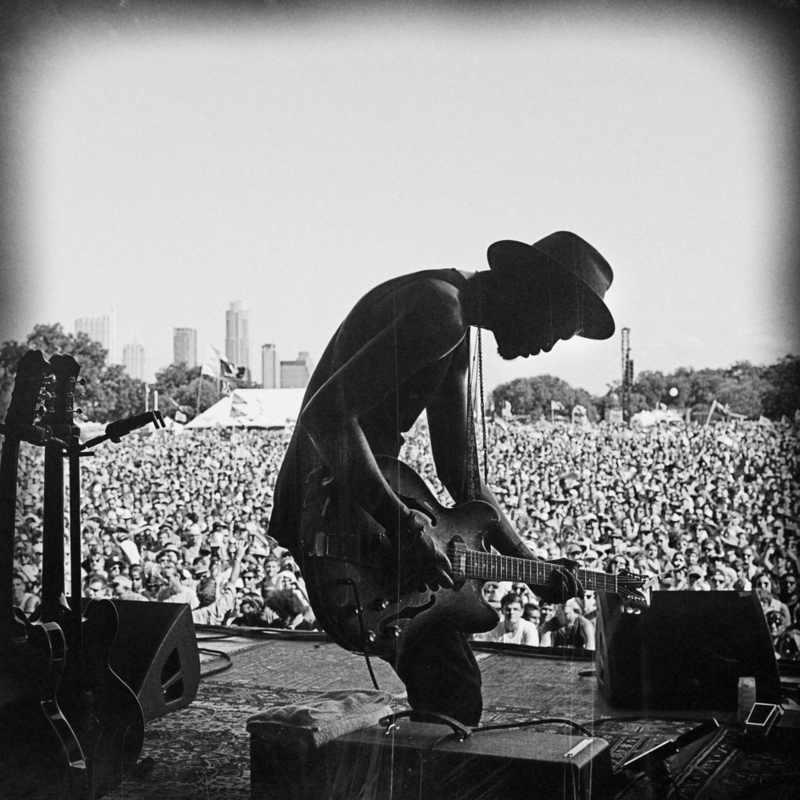 Bringing modern blues and soul to a new generation, twenty-eight year old Gary Clark Jr. exploded onto the international music scene when he delivered an incredible performance at Eric Clapton's 2010 Crossroads Guitar Festival. Born and raised in Austin, Texas Clark began playing guitar at age 12. He made a name for himself across the globe with the release of his critically-acclaimed 2012 major label debut Blak and Blu, and kicked off 2013 with a performance for President and Mrs. Obama at The White House. Last year he toured with the Foo Fighters and in 2015 he comes to Somerset House to play a Friday night open air gig in the famous courtyard. HotelMap for Gary Clark Jr.
Stations near Gary Clark Jr. Parking near Gary Clark Jr.
Hotels near Gary Clark Jr.
336-337 The Strand, WC2R | 2 minutes from Gary Clark Jr.
372 Strand, WC2R | 3 minutes from Gary Clark Jr.
Aldwych, WC2B | 3 minutes from Gary Clark Jr.
Events near Gary Clark Jr.
Gary Clark Jr., Aldwych, Covent Garden, London WC2B | 3 minutes from Gary Clark Jr.
Gary Clark Jr., 18-20 Maiden Lane, The Strand, WC2R | 5 minutes from Gary Clark Jr.
Gary Clark Jr., 404 Strand, WC2R | 5 minutes from Gary Clark Jr.
Entertainment near Gary Clark Jr.
Strand, Covent Garden, London WC2R | Same location as Gary Clark Jr.
Aldwych, Covent Garden, London WC2B | 3 minutes from Gary Clark Jr.
Strand, Covent Garden, London WC2R | 3 minutes from Gary Clark Jr.
Sights and Attractions near Gary Clark Jr. The best museums, galleries, attractions near Gary Clark Jr.
Somerset House, Strand, Covent Garden, London WC2R | Same location as Gary Clark Jr.
180 The Strand, WC2R | 3 minutes from Gary Clark Jr.
Shopping near Gary Clark Jr. The best shops and markets near Gary Clark Jr.
38 Tavistock Street, Covent Garden, London WC2E | 3 minutes from Gary Clark Jr.
42 Tavistock Street, Covent Garden, London WC2E | 3 minutes from Gary Clark Jr.
41 Wellington Street, Covent Garden, London WC2E | 4 minutes from Gary Clark Jr. Restaurants near Gary Clark Jr.
What are the best dining options near Gary Clark Jr. London? Somerset House, The Strand, Covent Garden, London WC2R | Same location as Gary Clark Jr. Restaurant deals near Gary Clark Jr.
Education near Gary Clark Jr.
Somerset House, Covent Garden, London WC2R | 1 minute from Gary Clark Jr.
1 Sheffield Street, Holborn, London WC2A | 5 minutes from Gary Clark Jr.
24 Shelton Street, Covent Garden, WC2H | 8 minutes from Gary Clark Jr. Leisure near Gary Clark Jr.
Gary Clark Jr. gyms, sporting activities, health & beauty and fitness. 12 Floral Street, Covent Garden, London WC2E | 6 minutes from Gary Clark Jr.
Victoria Embankment, Villiers Street, Covent Garden, London WC2N | 6 minutes from Gary Clark Jr.
Upper Ground, South Bank, South Bank, London SE1 | 7 minutes from Gary Clark Jr.
Pubs near Gary Clark Jr. The best pubs near London Gary Clark Jr..
40 Essex Street, Holborn, London WC2R | 5 minutes from Gary Clark Jr.
39 Bow Street, Covent Garden, London WC2E | 5 minutes from Gary Clark Jr.
40 Great Queen Street, Covent Garden, London WC2B | 7 minutes from Gary Clark Jr.
Nightlife near Gary Clark Jr.
Gary Clark Jr. clubs, bars, cabaret nights, casinos and interesting nightlife. 8 Victoria Embankment, WC2R | 1 minute from Gary Clark Jr.
1 Aldwych, Covent Garden, London WC2B | 3 minutes from Gary Clark Jr.
26 Wellington Street, WC2E | 3 minutes from Gary Clark Jr.
Meeting venue hire near Gary Clark Jr.
Where to have your meeting, conference, exhibition, private dining or training course near Gary Clark Jr..
Somerset House South Wing Strand, Covent Garden, London WC2R | Same location as Gary Clark Jr.
Two Temple Place, Holborn, London WC2R | 4 minutes from Gary Clark Jr.
Venue Hire near Gary Clark Jr.
Our recommendations in the same street as Gary Clark Jr.
Novello Theatre 3 minutes walk from Gary Clark Jr. The Lyceum Theatre 3 minutes walk from Gary Clark Jr.
Duchess Theatre 3 minutes walk from Gary Clark Jr.
Savoy Theatre 3 minutes walk from Gary Clark Jr.
Aldwych Theatre 4 minutes walk from Gary Clark Jr.
From cheap budget accommodation to luxury 5 star suites see our discounts for Somerset House hotels, including Strand Palace Hotel London from 85% off.